Carolina CAT is searching for an experienced Heavy Equipment Lube Technician. This position is responsible for preventative maintenance service and lube system repairs on heavy construction equipment, and requires heavy interaction with customers so customer-service skills are a must! Required to operate and inspect machines / equipment to gain access for lubrication and PM services. Complete all services accurately, safely and in a timely manner to meet productivity goals. Self-motivated, responsible, reliable, and willing to work in all weather conditions and environments. Positive attitude and work ethic along with excellent communication skills. Safely operate drive and maintain company lube truck. Continuously research and learn as required in order to improve knowledge and abilities as machine models change. Ability to develop own work schedule and adjust when needed to accommodate job needs. 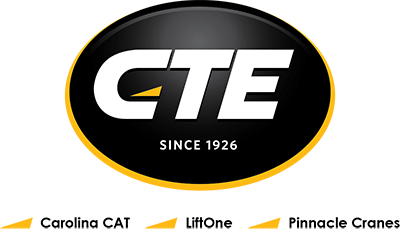 GED or equivalent and 1 to 3 years of related experience or combination of training and experience with Caterpillar, John Deere, Komatsu, Volvo, etc. Ability to comprehend safety, service, and parts manuals. Able to climb in, on, and around equipment, be flexible for awkward reaches and positions. Must be able to bring / own tools. EEO/AA Employer. All qualified individuals – including minorities, females, veterans and individuals with disabilities – are encouraged to apply.